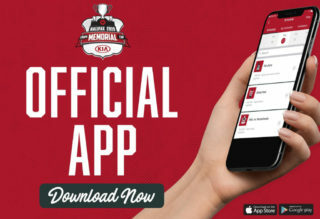 Shawinigan, QC – The Canadian Hockey League today announced the top individual award winners and tournament All-Stars for the 2012 MasterCard Memorial Cup as selected by NHL Central Scouting. 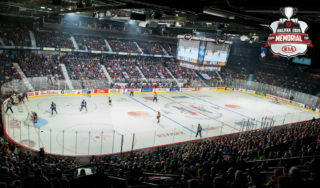 The awards were presented following Sunday’s Championship Final at Centre Bionest where the Shawinigan Cataractes emerged with a 2-1 overtime win over the London Knights becoming the ninth host team to win a MasterCard Memorial Cup title, and first team ever to eliminate all three league champions in three straight games. 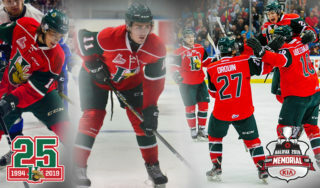 Michael Chaput led the 2012 MasterCard Memorial Cup with 12 points in six games scoring five goals and seven assists. The 20-year-old from Montreal, Quebec, is a Columbus Blue Jackets prospect. He recorded a point in all six games including four multi-point contests. 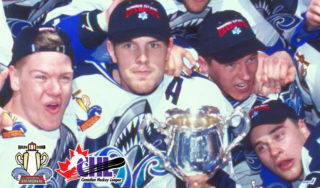 Zack Phillips of the Saint John Sea Dogs scored three goals and one assist for four points in four games of the 2012 MasterCard Memorial Cup. Accumulating just four penalty minutes in the tournament, the 19-year-old from Fredericton, New Brunswick, is a Minnesota Wild prospect selected in the first round of the 2011 NHL Entry Draft. Gabriel Girard of the Shawinigan Cataractes finished with a tournament-best four wins recording just one loss, and made 146 saves in five games. The 20-year-old from Varennes, Quebec, posted a goals-against-average of 2.08 and save percentage of .930 which were both top marks among goaltenders. 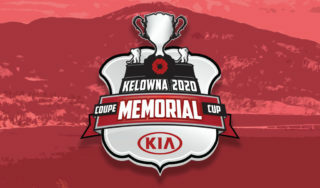 The 2012 MasterCard Memorial Cup All-Star team consists of Chaput at forward, along with Nashville Predators prospect Austin Watson who led the London Knights with five points in four games, along with Edmonton Oil Kings top scorer and 2012 NHL Entry Draft prospect Henrik Samuelsson who also finished the tournament five points in four games. Phoenix Coyotes prospect Brandon Gormley was named a tournament All-Star on defence leading all blueliners with nine points in six games, joined by Montreal Canadiens prospect Jarred Tinordi of the Knights. Knights’ goaltender Michael Houser was also named a tournament All-Star. The 2012 MasterCard Memorial Cup is proudly supported by MasterCard, title sponsor of this event for 14 straight years. Associate sponsors include Bank of Montreal, Subway, CCM, and broadcast partners Sportsnet and TVA Sports. 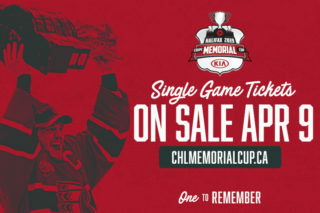 For more information about the event please visit www.mastercardmemorialcup.ca.